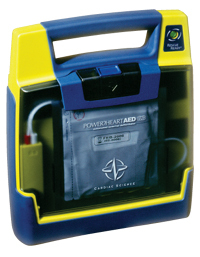 To purchase an AED, you must first have two things in place. Since AEDs are controlled by the FDA, you must be able to prove, in writing, these two items. You have a physicians prescription in your possession. If you are in the Westerly or Pawcatuck communities, Westerly AED can help you obtain a prescription. You must have attended training and be certified to operate an AED. Training is easy, and you'll be certified for CPR too! If you are certain that you have met these two criteria, you may purchase an AED on your own, or contact Westerly AED and we can help you purchase a unit.